The NHL playoffs are less than a week old and the best team in the regular season, the 62-win Tampa Bay Lightning, are down 3-0 against Sergei Bobrovsky and the Columbus Blue Jackets. Meanwhile, Barry Trotz and the NY Islanders are one win away from sweeping the Pittsburgh Penguins. The Blue Jackets need one more victory against the Lightning to notch the franchise’s first playoff-series win. The Lightning knew they were trying to fade the wrong side of history because the regular season rarely wins the Stanley Cup. However, they didn’t expect their playoff session would expire so quickly. Barry Trotz is working his postseason magic once again. Trotz won the Cup last year with the Washington Capitals, and he’s turned around the New York Islanders. The surprise team in the NHL this season boasting the best goaltending in the league. The stingy Islanders jumped out to a 3-0 lead over Sidney Crosby and the Pittsburgh Penguins. The Penguins can’t seem to get the biscuit in the basket and the Islanders are one win away from a sweep. When you think of a hot player in Columbus, Ohio, you are probably talking about a running back or quarterback like Dwyane Haskins. Columbus is where Ohio State, so sorry… where “THE” Ohio State University is located. Collegiate sports rule that part of Ohio, mostly because there wasn’t really any decent pro teams worth rooting for. Enter the Columbus Blue Jackets. The Blue Jackets have been around for nearly 20 years. They haven’t been very good, which is why you never really heard about them. The squad barely made the playoffs this year. The Blue Jackets spent the last couple weeks on the NHL playoff bubble, which actually put the entire team into a do-or-die mindset. 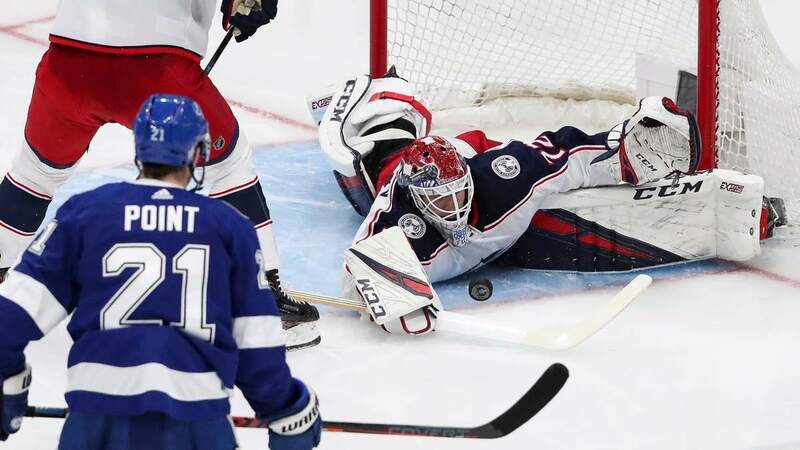 That intensity in the final weeks of the season paid off for the Blue Jackets in their opening-round matchup against the Tampa Bay Lightning. They were already playoff ready, while Tampa had a cakewalk through the regular season. Ever since the Lightning blew a 3-0 lead in Game 1, they have been on the run. The Blue Jackets cruised to a 5-1 win in Game 2. Credit goalie Sergei “Bob” Bobrovsky. The Russian allowed only one goal in each of Game 2 and Game 3. In Game 3, Cam Atkinson, Oliver Bjorkstrand, and Matt Duchene scored goals for the Blue Jackets. They host the Lightning on Tuesday for Game 4. The Islanders (48-27-7) have not won a playoff series since 1993. Yeah, Kurt Cobain was still alive back then and no one even had an email address. But now the Islanders are one win away from knocking out the Penguins (44-26-12) and advancing to the Eastern Conference semifinals. The Islanders beat the Penguins 4-1 in Game 3. The Penguins got on the board first, but the Islanders scored two goals from Jordan Eberle and Brock Nelson inside of a minute to take the lead. They never looked back. The Islanders are not a flashy team. If anything, they are a little boring. 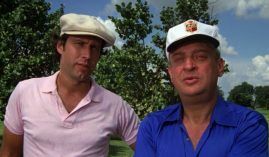 But if its wins you want out on Strong Island, then you got to succeed at all the basic fundamentals. The Islanders are a top-notch defensive team with stellar goaltending. They are not going to take too many risks, but they will make opponents pay for their mistakes. The Islanders won the first game 4-3 in overtime at Nassau Coliseum. The old venue rocked out like they had not seen in almost forty years during the good old days when the Islanders were perennial contenders for Lord Stanley’s Cup. The defense led the Islanders to the next two victories with a 3-1 win in Game 2 and a 4-1 edge in Game 3. They neutralized the Penguins top line allowing Sidney Crosby and Jake Guentzel zero points in the playoffs. The Islanders put the clamp down on them. Not even an assist. Islanders goalie Robin Lehner allowed only two goals since letting in three during the overtime game. Lehner registered 32 saves in Game 2 and 25 saves in Game 3. The Penguins host the Islanders for Game 4 on Tuesday. They are hoping to prevent a sweep. According to the Westgate Super Book in Las Vegas, the Lightning are 5/1 odds to win the Stanley Cup. The Blue Jackets are 12/1 odds to win the Cup. The Islanders are 14/1 odds.